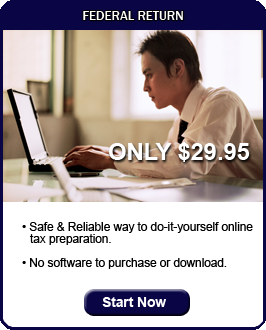 Do it Yourself Tax Return Online and Get Your Refund Faster. You can take advantage of our easy and secure online tax solutions. 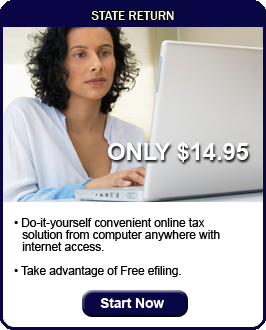 Simple step-by-step tax return online in just minutes. Step 1 – Sign-up free & pay only when ready to file return. Step 2 – Point & click, fill-in tax data & let the program do the rest. *Typically the IRS estimates 8-15 days for efile with direct deposit. The IRS 2007 tax year, delays may occur.